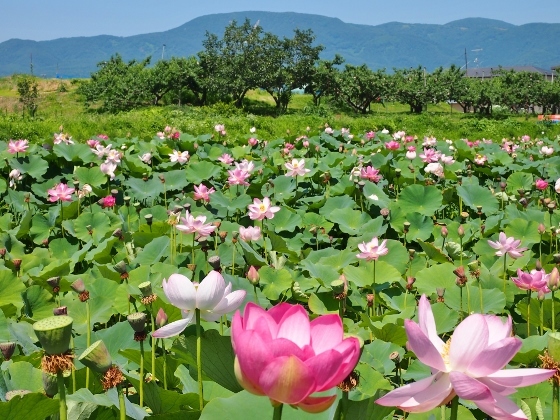 Today, I first visited beautiful lotus ponds in Kunimi Town. 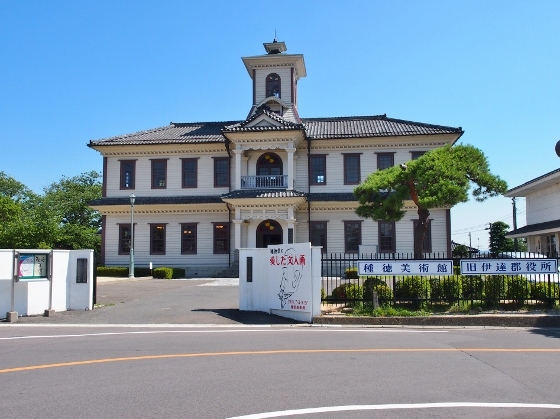 Also, there were remains of Atsukashiyama Defense Bank 800 years old adjacent to the site. 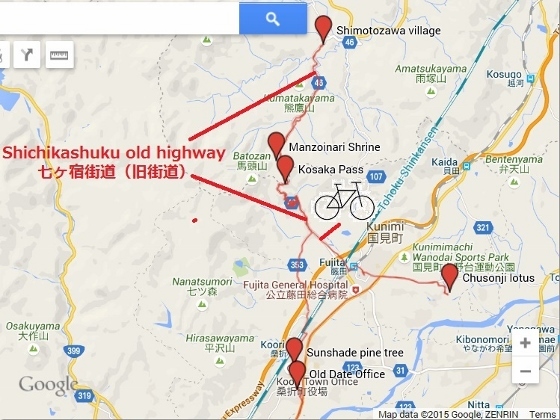 Then I pedaled along the old Shichikashuku Highway to Miyagi Pref. via Kosaka Pass. There remained atmosphere of old post villages along the road. Finally, I stopped at Kori Town on the way back to Fukushima City. 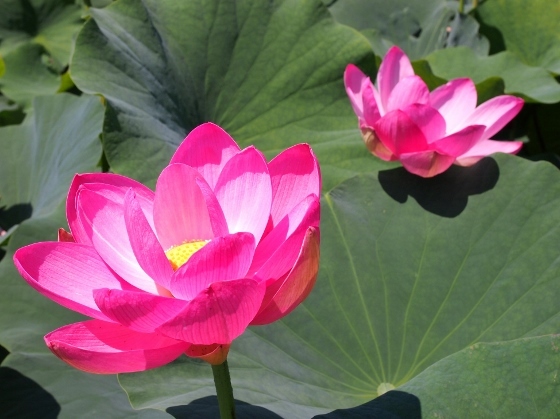 Above photos are of Chusonji lotus flowers. 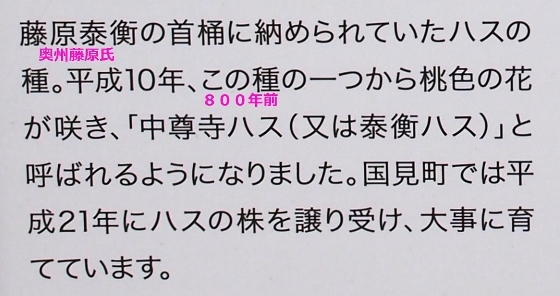 The seeds were discovered at Chusonji Temple which was a world heritage site in Iwate Pref. in the north. Those seeds were brought back to life from more than 800 years of sleep. 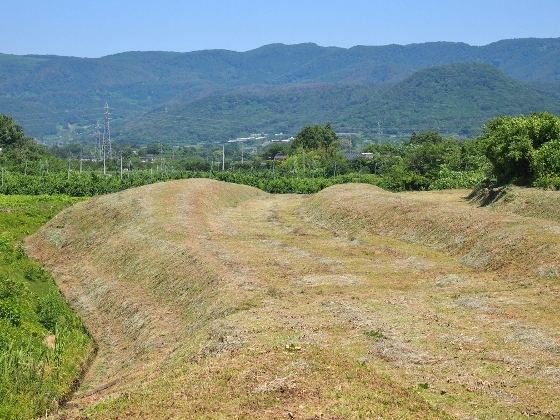 Just adjacent to this lotus field, there are remains of old Atsukashiyama defense banks as shown above. This site is designated as National Historic Site. Oushu Fujiwara family who built the Chusonji Temple built these defense banks in 1189 but finally was defeated by Kamakura shogunate forces. I could find many peach farms everywhere around. 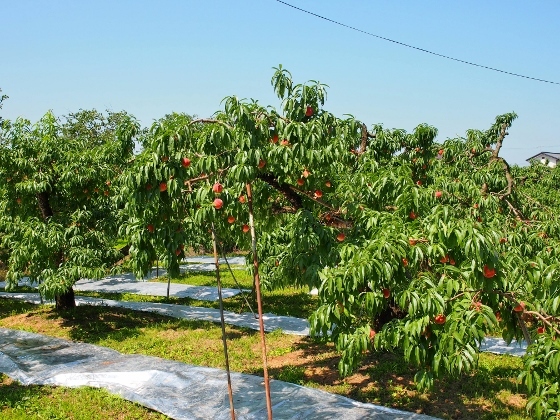 Peach is a specialty product of Fukushima especially in this region. After leaving the lotus field, I pedaled along the old Shichigashuku Highway toward Kosaka Pass. This road extends to Shiroishi City, Miyagi Pref. 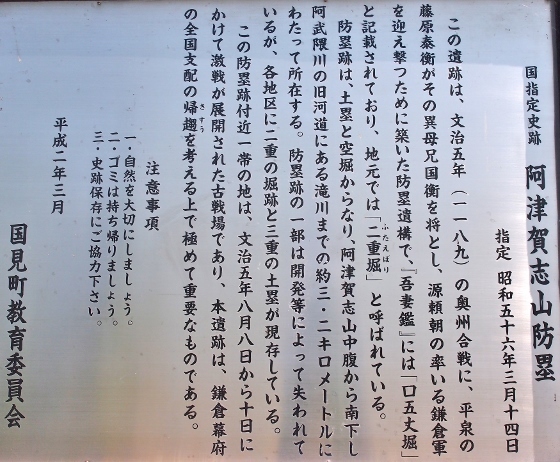 First photo above shows the border to Miyagi Pref. 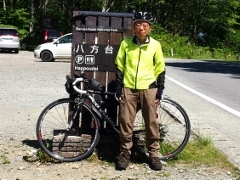 at Kosaka Pass. 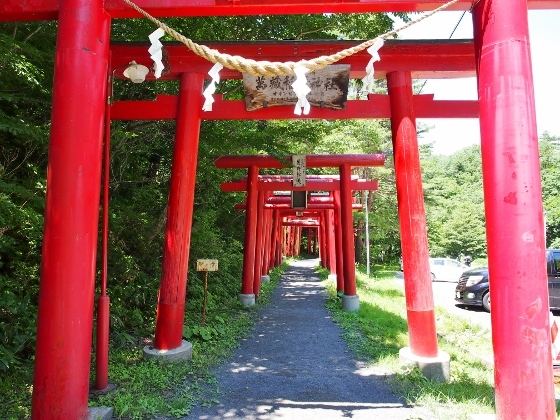 Second photo shows Manzoinari Shrine located just beyond the pass. The shrine has a long path beneath hundreds of torii gates. 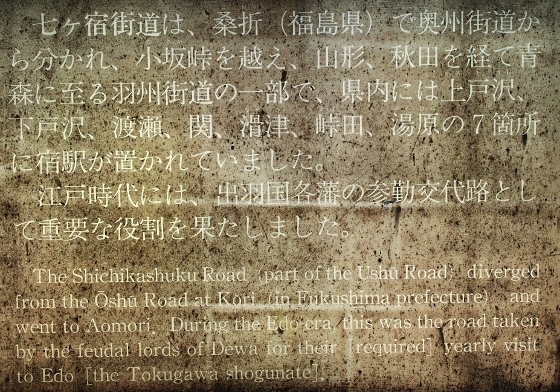 There were seven post villages along this road in old days which supported travel between Dewa (Yamagata & Akita Pref.) and Edo (Tokyo). 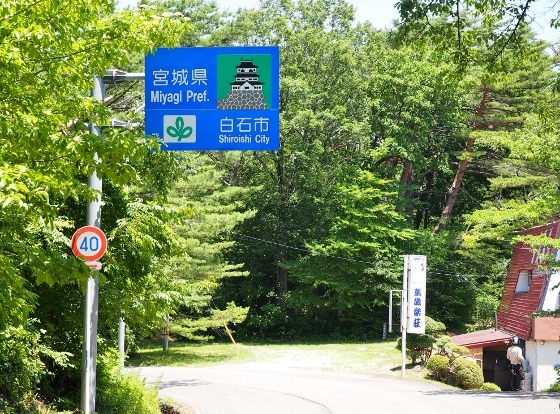 Shimotozawa village in Shiroishi City is one of the seven villages. 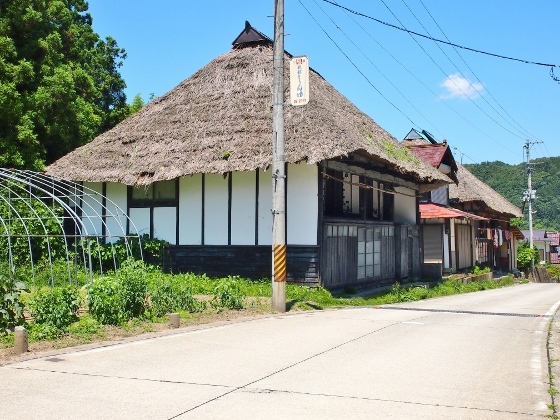 An old atmosphere still remains with some thatched roof houses along the road as shown above. Then I returned back to Kosaka Pass and then descended toward Kori Town. 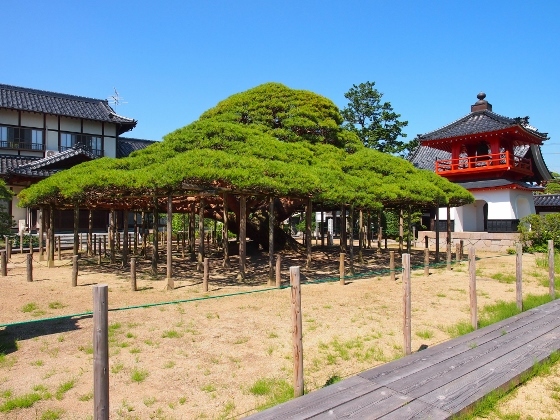 There I first stopped at a large sunshade like pine tree in the precinct of Munoji Temple. 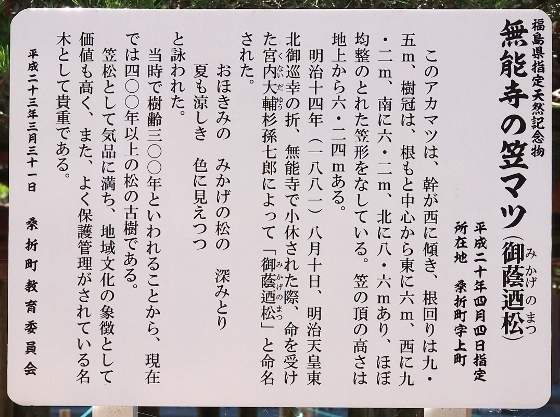 (Photos above) This tree was designated as natural monument of Fukushima Pref. Finally at Kori Town, I visited an old office building of local government of Date. 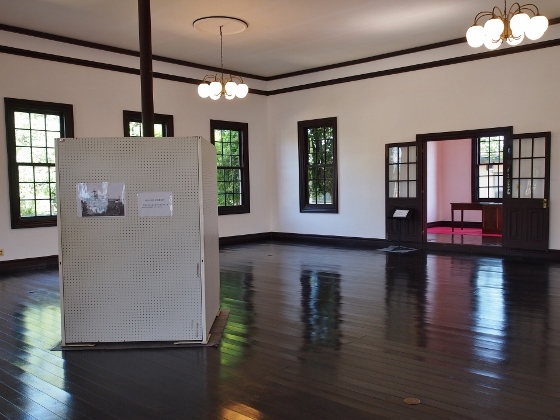 This building was built in 1883 and was designated as National Important Cultural Property for its nice pseudo-western style architecture.